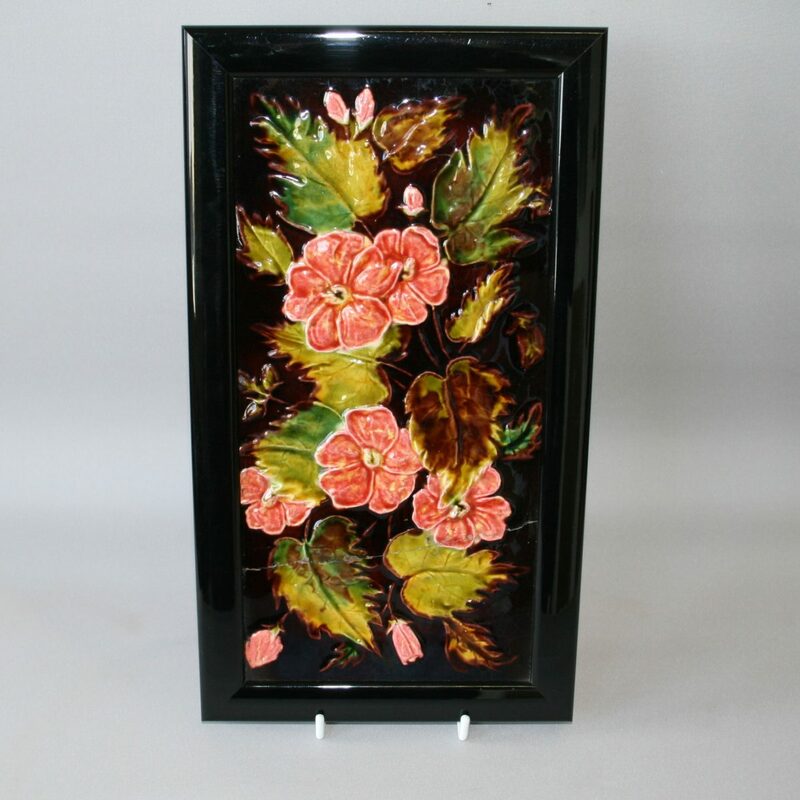 A stunning tile with a big and bold floral design executed in an impressive manner well moulded and decorated with fabulous rich glazes. This was a tremendous historic achievement for the time of its manufacture because few, if any other tile makers were producing embossed 6″ x 12″ in multicolour. The pattern is of a group of designs which were registered in 1888 and 1889. Tiles of this quality were very expensive in their day. 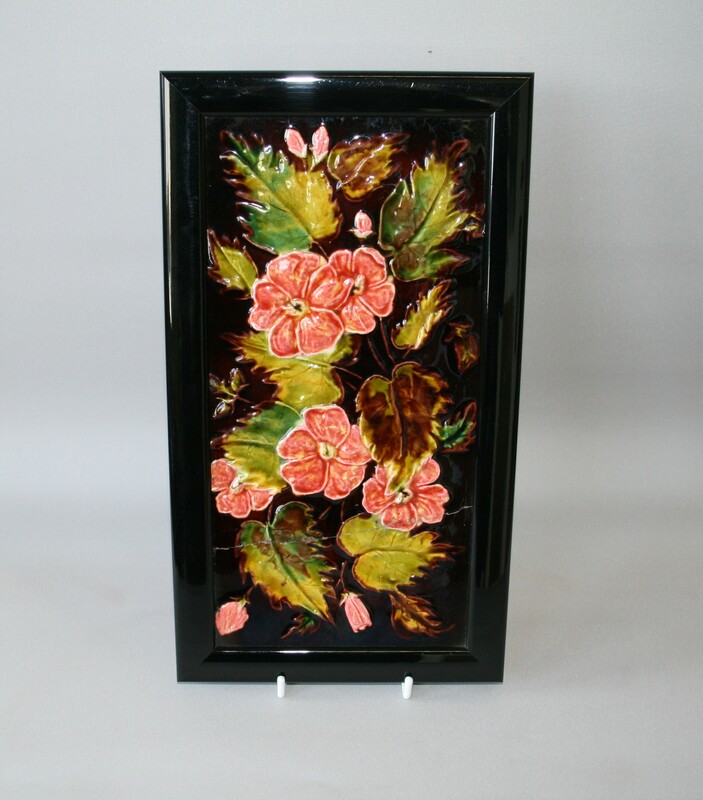 They were little used for walls but were mostly found as centrepieces in fireplace panels (as this one was) and also framed as works of art. For the serious collector, this tile is in poor condition having been being broken and repaired. But despite this, it is a tremendous tile, rarely found, and with dramatic brilliant glazes (the pink being an especially great achievement for its date) displays well.